4 Wheels & 4 Helping Paws: Can you offer these cats their forever home? September is Happy Cat Month, but sadly there are cats up and down the country who aren't very happy right now. Hundreds of cats and kittens are in rescue centres waiting for new homes. Some have sad backgrounds, some were strays, others are simply no longer able to be looked after by their previous owners through a change in circumstances. These cats would love a new home to make them truly happy during Happy Cat Month. Here are a few cats who need new homes, but there will be many, many more in rescue centres near you. Please do contact your local cat rescue charity if you think you can offer a cat a chance to be happy. Matilda has had eye problems due to cat flu and unfortunately Matilda has had to have her left eye removed. This does not stop her from leading a perfectly happy and contented life, Matilda and her best friend Minnie Munchkin are just waiting for that chance. Beaker the beautiful, Beaker the great! What a handsome fella Beaker is, and although we all them him he wont believe us! He is waiting upon his happily ever after to finally feel safe and loved. This long legged stunner is a wonderful boy who is just delightful to spend time with. He is calm in nature with the personality of a true gentleman with good looks to boot! Beaker likes to show his humans how much they mean to him by purring and dribbling in pure delight. Once settled into his new home, Beaker will need access to a garden of his own so he can prowl the grasslands pretending to be the mini tiger he is at heart. 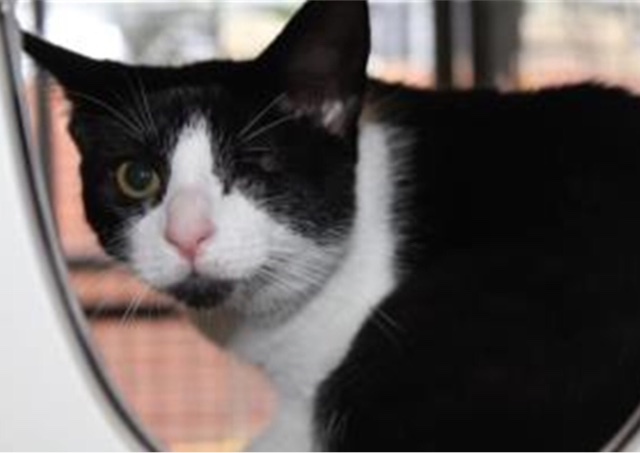 Hello all, I’m Penelope – a stunning black and white domestic shorthair. I would simply love to have a new home to call my own. I love the company of people and a lap to sit on with a bit of fuss when I nuzzle into you, but sometimes I’m happy just sitting on your lap or near you. During the day I’m a bit lazy and love to sleep but don’t let that fool you! In the evening I have a burst of energy and you’ll see my fun and playful side come out. I don’t tend to venture very far but a garden would be great, so I can potter and sunbathe. I would prefer to live with older children that are happy to give me my own space when I want it. I love my human companions all to myself so no other pets please! I’d make the puuurfect companion for someone that is looking for a friendly, fun and endearing cat. Please fill out a home finder for me today and make my biggest dream come true! 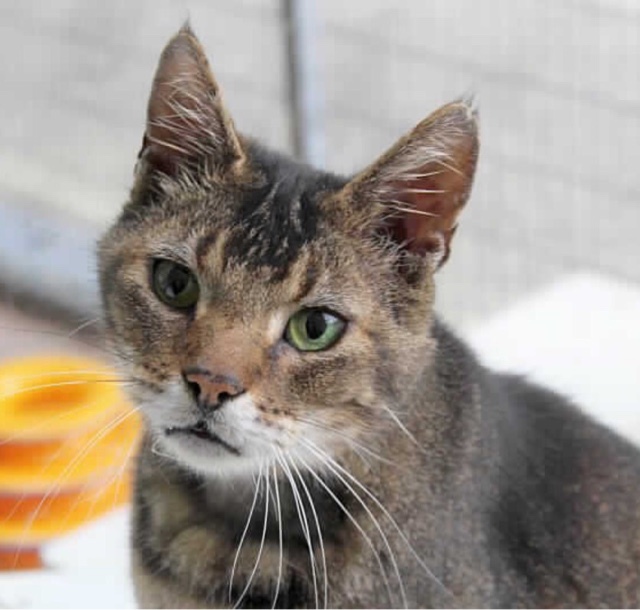 Dizzy is a strikingly handsome older gentleman, who is looking a home where he can snooze in a comfy bed and stretch his legs in the garden. 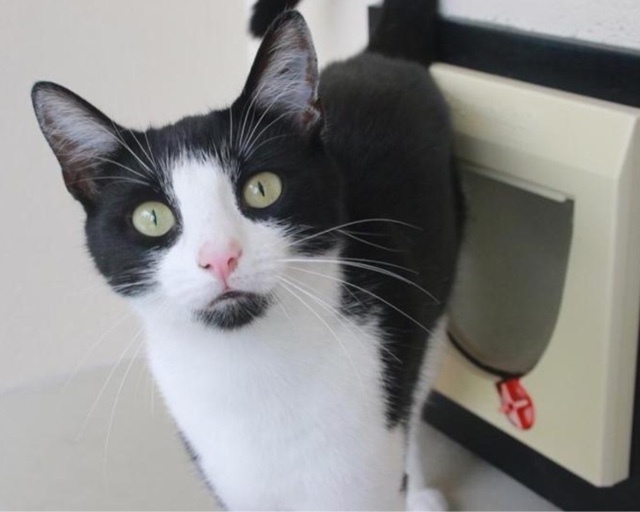 Dizzy is very affectionate and loves human company. He would prefer to be the only cat in the house so he can have all the attention to himself. Dizzy could live with older calm children. Dizzy has an overactive thyroid gland; this is common in older cats. He will have an operation here at West Hatch to remove it before he goes to his new home. 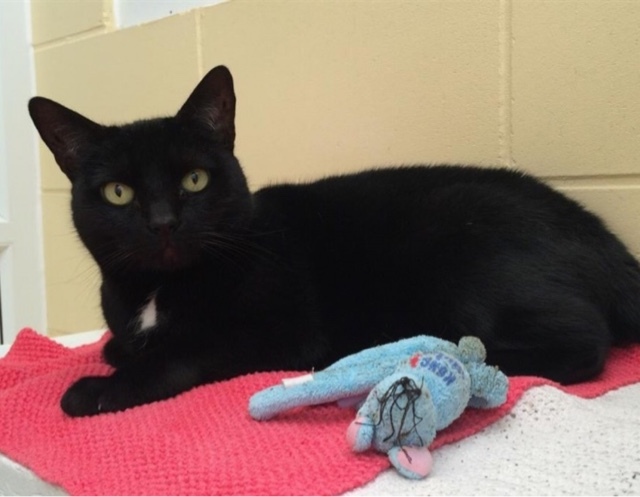 Catherine is a sweet young girl who likes to explore the cattery. She is very human oriented and will do anything to show her love and affection for you! 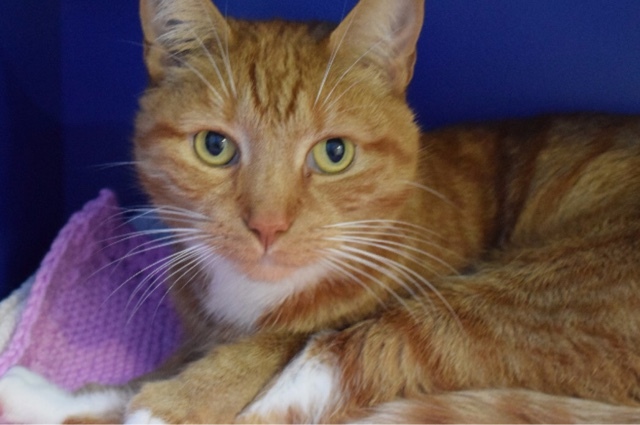 Catherine would love to find her forever home with someone she can spend lots of time with.